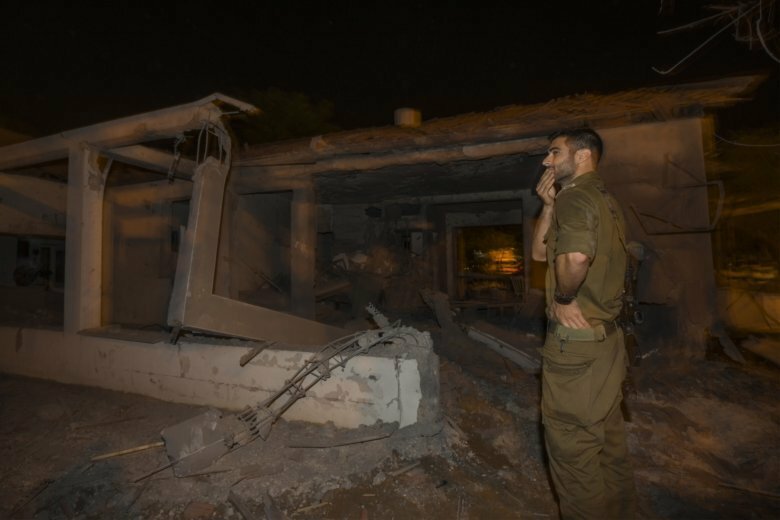 GAZA CITY, Gaza Strip (AP) — Hamas and other militant groups said Tuesday they had accepted an Egyptian-brokered cease-fire to end two days of intense fighting with Israel that had pushed the sworn enemies to the brink of a new war. In Israel, officials had no comment on the cease-fire claim even as dozens of protesters in the rocket-battered town of Sderot chanted “Disgrace!” at what they saw as the government’s capitulation to militant violence. But after nightfall, both the rocket attacks and Israeli airstrikes had stopped. The Cabinet said it had ordered the military to “continue operations as needed.” Israel’s Channel 10 TV reported deep divisions among the participants, with several hard-line ministers reportedly opposed to another cease-fire with Hamas. Tuesday’s cease-fire did not appear to address any of the underlying issues, including the blockade and Hamas’ vast arsenal of rockets, and it was unclear whether U.N. and Egyptian efforts toward a broader deal might resume. A diplomatic official said the cease-fire included an “understanding” to return to a 2014 cease-fire that promised some relief for Gaza in exchange for quiet. Federman reported from Jerusalem. Associated Press correspondent Isabel DeBre in Jerusalem and Edith M. Lederer at the United Nations contributed.